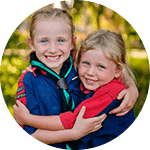 At Venturer Scouts you’ll get to know a great bunch of people your age, without the pressure of school. Venturer Scouts are very social, but challenging too – you’ll learn a lot about yourself and others. You might even get the chance to travel to another part of Australia or even another part of the world. 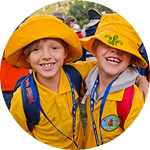 The Venturer Scout section holds Australian Ventures every three years, but in between are huge state events. 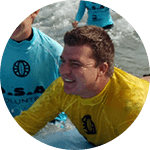 These are amazing events where hundreds of Venturer Scouts come together to camp, do challenging and fun activities like diving, abseiling, exploring and often lots of water activities. Venturer Scouts can even travel to Jamborees and Ventures all over the world. You’ll be surprised at how many great friendships you’ll make. Families are welcome to get involved too! There’s lots of opportunities for the whole family to make new friends and feel part of the community. Action is at the core of all Venturer Scout activities. And it’s your choice what you do – whether it’s kayaking, canyoning, hiking, camping in the snow or even planning an international expedition. 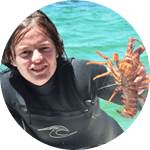 There are heaps of international travel experiences to be had by Venturer Scouts, with contingents leaving every year to Scouting events in all parts of the globe. Venturer Scouts is all about taking the lead. Your Venturer Scout Leaders are there to ensure things run safely and provide advice, but once your planning is completed and checked, the Leaders stay very much in the background. As well as numerous group activities, the Venturer Scout Award Scheme is based on personal achievement and recognition. You have the opportunity to earn nationally recognised vocational qualifications in leadership and outdoor recreation skills. These may even appear on your final school certificates. The Queen’s Scout Award, the highest award for Venturer Scouts, is so highly respected that several universities will recognise it for entry purposes. Venturer Scouts wear a blue button up shirt with maroon sleeves. They will also be given a scarf and badges to sew on the uniform when they join. 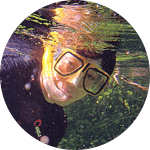 Most adventurous activities won’t require you to wear a uniform, just appropriate clothing. 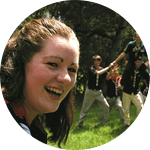 When you first talk to the Venturer Scout Leader about joining, they will give you information about what to wear and bring to your first meeting. You can buy your Venturer Scout uniform at Scout Shop.